Maybe you are like me, living in a different country which you were not born in and want to keep up with news, movies etc. from home. You are in luck, in the last few years technology have changed, you can now watch TV and movies online on any type of device from almost any country. To be able to to do this you would need a VPN service, a VPN service “tricks” the internet in which location(country) your computer is in. I live in the Netherlands, I watch TV series and movies from TV Channels in Sweden and Canada, to be able to do that I use – HideMyAss. I have downloaded the HideMyAss app to my laptop, and when I want to watch a movie from a TV channel in Sweden, I start the HideMyApp app and select the VPN location. When connected to the VPN location, I visit the TV channels website and start watching the program I was interested in. So recently I have been watching the British TV Series Indian Summer on the Swedish TV Channel SVT. Before you select a VPN service provider you need to ask your self, on what devices you are going to use the VPN service and the countries you want to watch movies in. 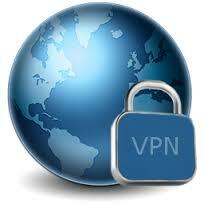 Not all VPN service providers are the same, you need to shop around before choosing one. Here is a list of VPN service providers that I can recommend. If this was helpful let me know by commenting below.